Automowers do not have infinite life in their cutting blades , so you need to repalce them. sharp cutting edges are essential is you want to cut your lawn to an optimal level. 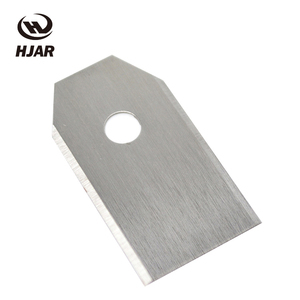 We provide automower blade ,lawnmower blade stainless steel or carbon steel . 7. 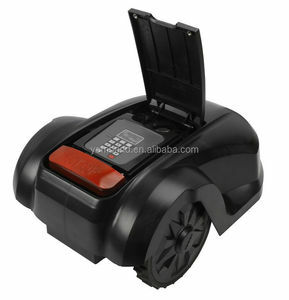 Anti-theft with pin code: Mower has password protection option to guard against theft 8. 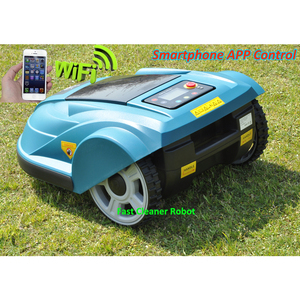 Programming: To set up working time for your robot mower at specific time of each day as you want. is a high-tech private enterprise of semiconductor designer and representative, aiming at developing and selling all kinds of electronic products. Yomband is now the main representative agent of the IC brands from Europe, America, Japan, Taiwan and mainland China, operating more than 20 product lines. 3. Make our lawn more fresh,artistic,bring you cozy and delectable courtyard. 5.Q: How many years you Export9 A: Our company has 10 years of export experience. 6.Q: C an you do our brand and color9 A:We can accept custmerized brand and color. Functions: 1,Incline slope&le;30&deg; 2,Safty protect:When 6 kinds of fault operation happen ,the machine will stop working automatically. 3,Waterproof:All the hull are waterproof material, inner shell designed by signal block without gap, so the rain can not flow inside the machine and disturb the function. 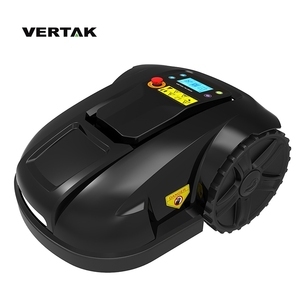 6,Automatically charge the battery:When the mower complete whole working or the power is flat, the machine will go back to charging station automatically. 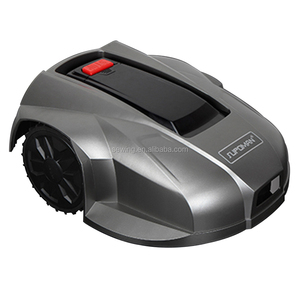 Wuyi Yuanhan Industry And Trade Co., Ltd.
Automatic robot lawn mower remote control lawn mower / electric lawn mower / mini lawn mower / lawn mower parts 2013 ROBOTIC MOWER Specifications: Advantage: Compared with traditional mower: protect earth resources, low noise, no pollution, save money, ease labor, make you more time to enjoy your life; Compared with competitors: 1. Never escape from the virtual wire, more stable program; 2. Infrared deceleration function : avoid to hit charging station and obstacles strongly, much safer; 3. 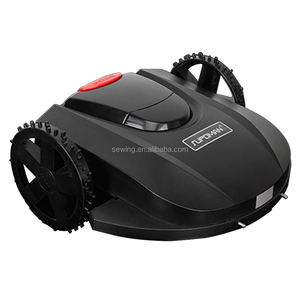 Four pcs thin and sharp blades: mow more efficiently and cut the grass much smaller to fall down the bottom of lawn directly, more beautiful; 4. Cutter protector: protect the baby or animal to hurt, much safer; 5. Two independent batteries: if one is bad, the other will support the working all the same; 6. Bumping rubber: protect the item from hitting to lead a scratch and also less noise; 7. Software upgrading function: making the item always renewed and more powerful; 8. High quality material ABS, PP, Nylon and Stainless Steel: no bad smell, more environmental and solid; 9. Best color box packing: 1.2m falling test and vibration test; 10. T ime set-up function: set any mowing time as you want, easier mow; 11. Robot will be stopped at once as soon as power cuts off; 12. LCD display: you can set item easier, and showing all kind of information for the working condition. Function: 1, 30 degrees slope gradeability 2, Safety protection, 7 errors automatically alarm 3, Water-proof function 4, A utomatic weather protection 5, Obstacle deceleration and automatic obstacle avoidance 6, Automatically homeward charging 7, Time set-up function 8, Remote control 9, Infrared deceleration function 10, Tool free to change and adjust the height of mowing 11, Pin code protection 12, Software upgrading function 13, Mowing mode: random linear motion and evolvent motion 14, Programmable 15, Robot automatically stops working if charging station or wire&rsquo;s power cut off Parameters: Machine size (L*W*H) 65*48*28 cm ; Weight 22 Kg Input Voltage AC 110-240V, 50/60Hz Output Voltage DC 24V Charging system fully automatic Blade type super thin manganese steel, 4-pivoting blades rotary disc Blade stop 2s Lift auto-stop sensor Yes Tilt auto-stop sensor Yes Rain sensor Yes Emergency switch Yes Climbing inclination &le;30&deg; Remote effective range &le;15m Noise &le;65dB Mowing motor power 60W Blade rotate speed 3200 R/M Walking motor speed 4200 R/M Average walking speed 0.3-0.5 M/s Lawn remain height 30-60mm, adjustment Mowing width 24cm Standard length of wire 100M*0.75mm Color blue, yellow, dark grey and light grey now, can use others as you like Certificates SGS/CE & EMC&MD, Intertek /RoHS, TUV/WEEE & Noise Report and ISO 9001, 2008, with GS & UL adaptor Patent: EU design patent &ldquo;Transformers&rdquo; If you have any questions ,please don't hesitate to contact /call us ! this sort of slasher is simple in construction,durale in service,adjustable in cutting height. and excellent in working performance. 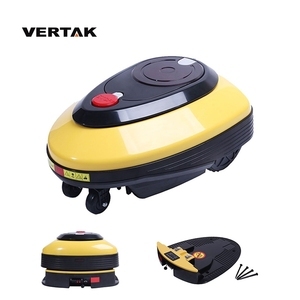 they are more ideal agricultural machine used for grass slashing and ranch cleaning. In order to avoid this situation,user can enter the correct password then the mower can be started. 9.Emergency stop switch Press red button in any case during operation,it will stop at once. 12.Pressure sensor If child sits or heavy things on the mower, it stops working within 2s. 2. )Dispatching engineers to help installation and train worker. 6. )Your concerns will receive prompt reply and careful attention. 7. )You will get more discount if you give us any suggestion regarding our product. 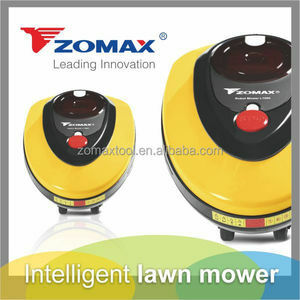 Alibaba.com offers 498 automatic robot lawn mower products. About 73% of these are lawn mower, 2% are grass trimmer. 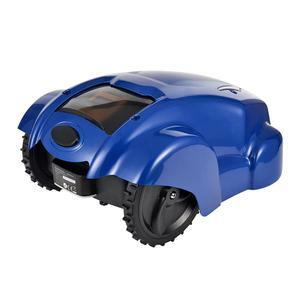 A wide variety of automatic robot lawn mower options are available to you, such as 2-stroke, anti-slip, and 4-stroke. You can also choose from ce, emc, and gs. As well as from electricity, petrol / gas, and manual. And whether automatic robot lawn mower is paid samples, or free samples. 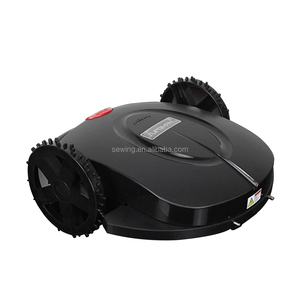 There are 416 automatic robot lawn mower suppliers, mainly located in Asia. 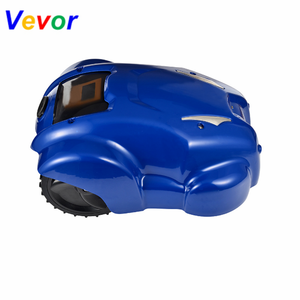 The top supplying countries are China (Mainland), India, and United States, which supply 93%, 4%, and 1% of automatic robot lawn mower respectively. 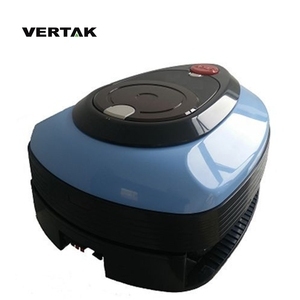 Automatic robot lawn mower products are most popular in Western Europe, North America, and Northern Europe. You can ensure product safety by selecting from certified suppliers, including 80 with Other, 80 with ISO9001, and 14 with ISO14001 certification.